Food travels down the esophagus to the stomach leading into the small intestine which then leads to the large intestine. Food gets "squeezed" down the esophagus that leads to the stomach. Food gets churned in the stomach by the muscles contracting. which push food along by means of peristalsis. 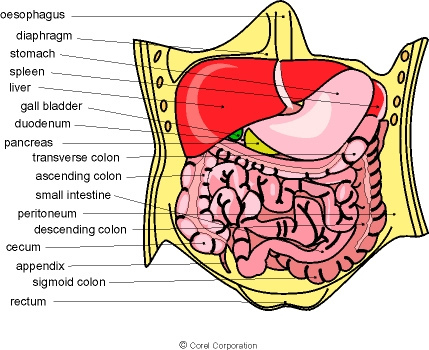 This diagram shows the parts of the digestive system spread apart. 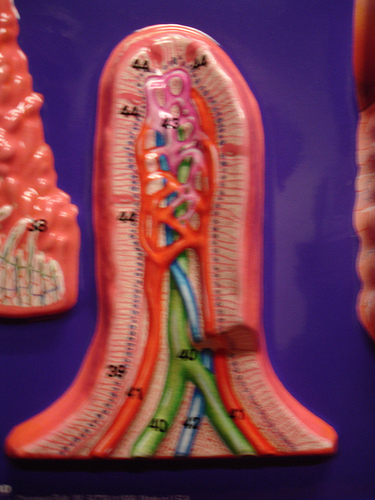 This diagram shows the placement and structure of the salivary glands. This picture shows the action in the stomach digesting food. 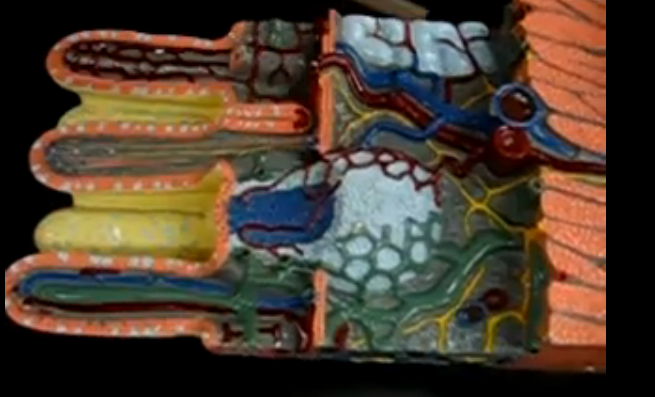 entering into the first part of the small intestine. 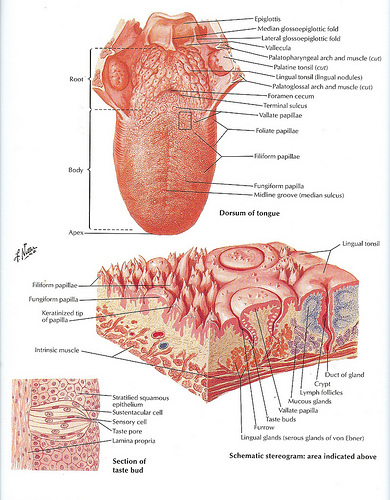 This picture shows the two parts of the stomach.